A day trip to visit Samobor from Zagreb is a quick and easy. From start to finish you should allot about six to seven hours from when you leave your apartment or hotel in Zagreb to when you return. Samobor is a small but beautiful town located directly west of Zagreb and I think it’s certainly worth the trip for anyone in the city. 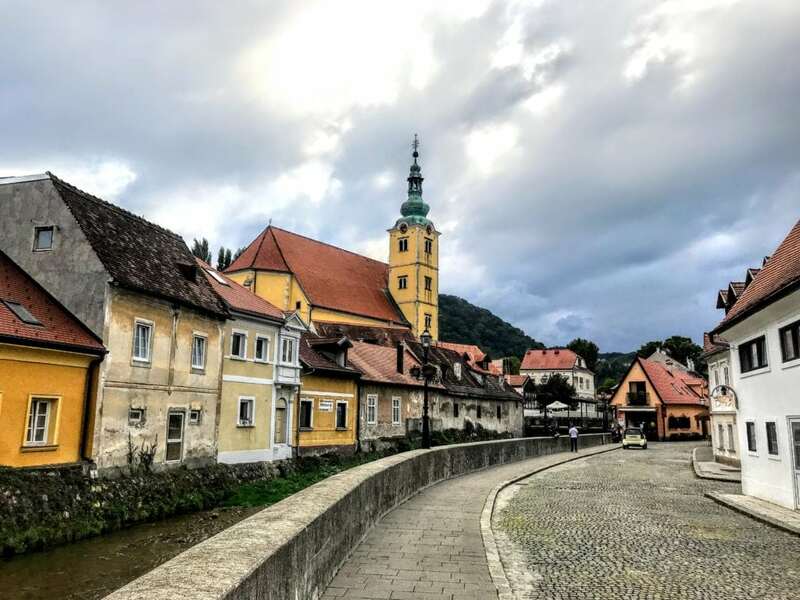 If you’re ready to add it to your Croatia itinerary, I have everything you need to know from how to visit Samobor, what to do in the small town, where to eat and more! Getting to Samobor by bus is super simple. First, you need to go to a bus station. For many of you, the main bus station in Zagreb (Autobusni Kolodvor) will be the most convenient, but because Daniel and I are staying in the ‘burbs for our trip we actually ended up going from the Črnomerec station. I’ll give you the details for both. From the Črnomerec Station we took a bus called Auto Turist. The schedule is posted near the porta potties so you can check it for the one coming next (they seem to go at least once an hour but I don’t see the official schedule online). 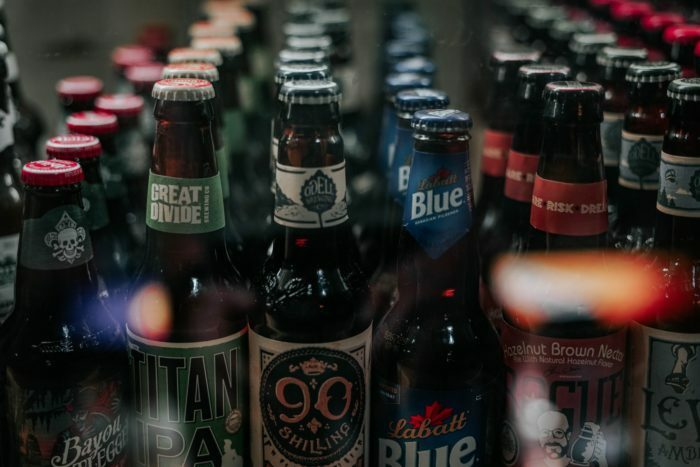 The bus won’t pull up all the way to the sign so keep an eye out for any one that stops near you to make sure you don’t miss it – it will have a sign that says “Samobor” in the front window. Once you get on the bus simply pay 24 kuna / 3.75 usd and you’ll be on your way. A brand called “Samoborcek” also runs here so if you see a giant red bus with that written on the window you can take that as well. 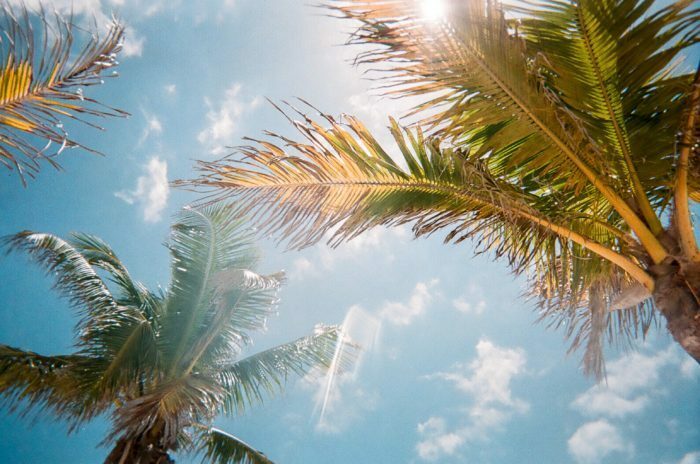 This might be a better option than Auto Turist because you can see the exact schedule here. Whichever you choose, the ride should only be about 40 to 45 minutes. From the Zagreb main bus station the ticket is a little more expensive (31 – 34 kuna / 5 usd) because this station is farther away from Samobor. My guess is the ride from here will take about 50 to 55 minutes. One good thing about catching the bus to Samobor at the main bus station is that they run more often. The bus station has a surprisingly nice website so you can easily check the schedule here before you go. From Samobor back to Zagreb: Once you know how to visit Samobor from Zagreb making the return trip is simple. You can check the Samoborcek schedules here to find the timetables for buses back to both the Zagreb main station or Črnomerec. 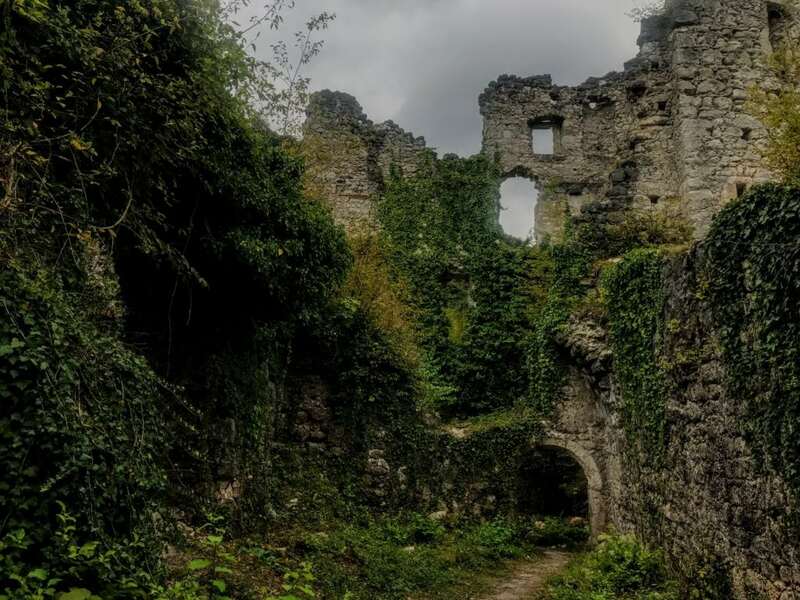 Now that you know how to visit Samobor it’s time to plan the rest of your itinerary! The main activities here are eating, drinking, and hiking. After you wander through the beautiful downtown central area, keep walking straight down the road. You’ll come to a mini bridge over a small stream on the left hand side, cross it and follow the path along the stream and base of the mountain for about 10 minutes. 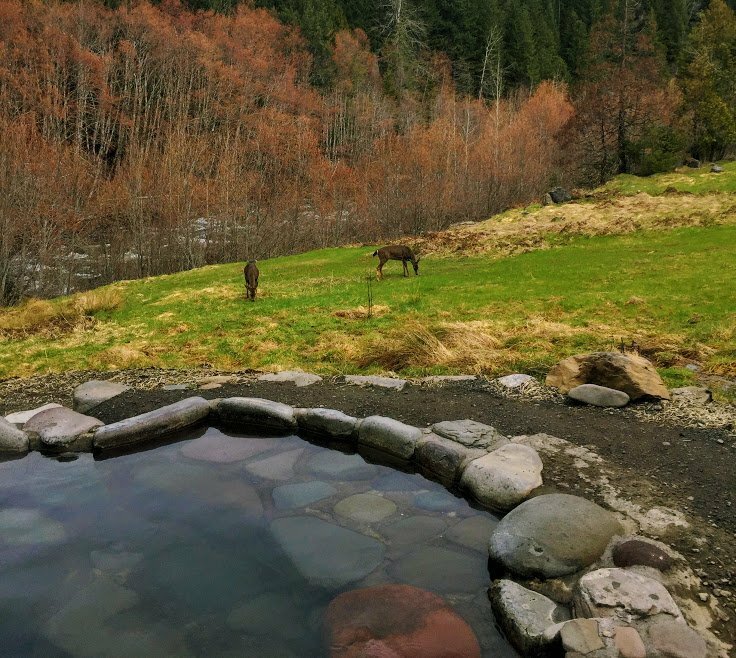 Then, you’ll come to a pool and parking lot – here you will find the entrance to the path up the mountain. This is a pretty easy hike that most fitness levels can handle. After going up for about 15 minutes you’ll come to the ruins of a castle. Seriously, how amazing are these? They were pretty much empty when we arrived so we got them all to ourselves. Make sure you walk through to see all the magical little nooks and crannies in it – I totally felt like I was transported into a fairy tale! Once you’re done exploring, simply continue on the wide main path up the mountain. In 15 minutes more you’ll come to a small church and from here you can go up to a tiny memorial and a second church. Finally, walk along the road (or take the path through the woods that runs parallel to it) for five more minutes to get to the Tepec Vista view point. Honestly, I was totally not expecting this. 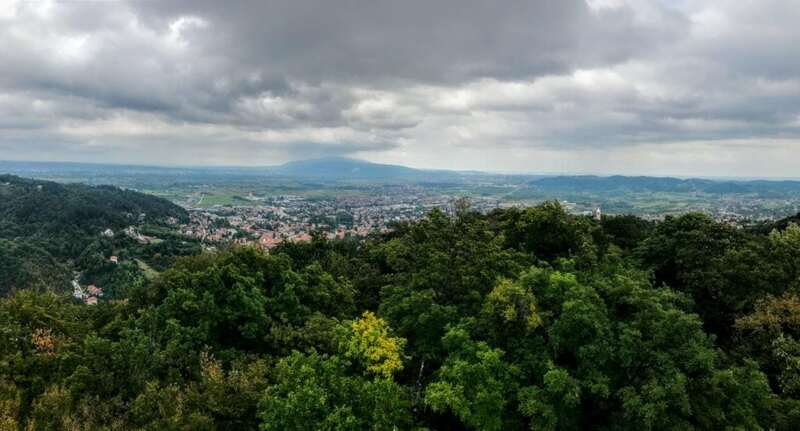 The Tepec Vista viewpoint is a metal tower that takes you high above the trees for a 360 degree view of Samobor, Zagreb and beyond. I’m not going to lie, climbing it got my heart racing, but the awesome views at the top were definitely worth it. 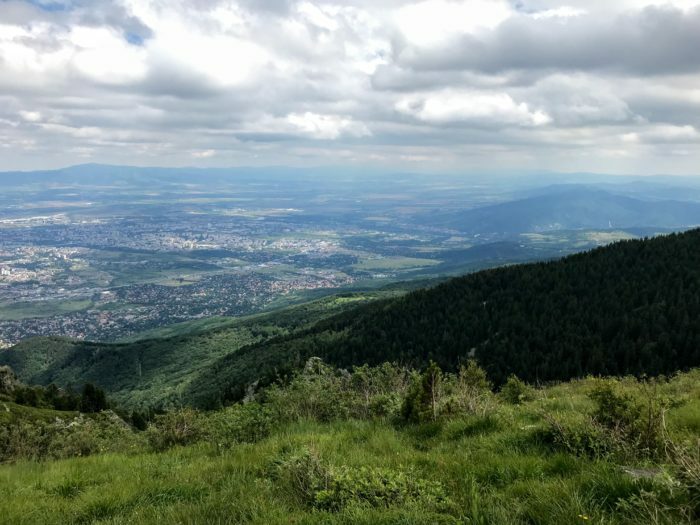 Once you have all the pictures you can handle, simply head back the way you came and return to the base of the mountain and back to Samobor. All in all, this climb from the city center to the castle and the view point and back should only take around two hours or so. Now for one of my favorite topics… food! Daniel and I ate at the top-rated restaurant called Gabreku 1929. It’s almost 100 years old and was packed on a Saturday afternoon so we knew we had to try it. The food is expensive but it was super tasty and I think it was worth the price. Plus, it came with free bread so that pretty much won me over immediately. We ordered the mushroom soup and roasted veal on the advice from our waitress and she was spot on. All of it was really good on a cool and rainy day and the service was great too. Just keep in mind that the portions are actually massive so one serving of soup and one of veal is definitely enough for two people. With juice, water and a tip the total came to 200 kuna / 31 usd. 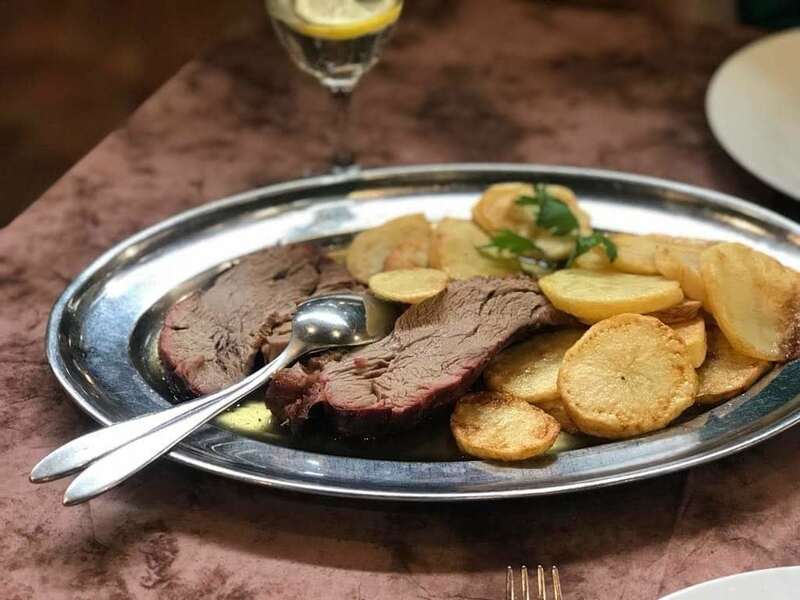 If you’re looking for a more budget friendly restaurant, Daniel and I were actually headed to the Bistro Stari Grad right across the street (that has a one dollar sign rating and good reviews) when we got side tracked and decided on Gabreku instead. 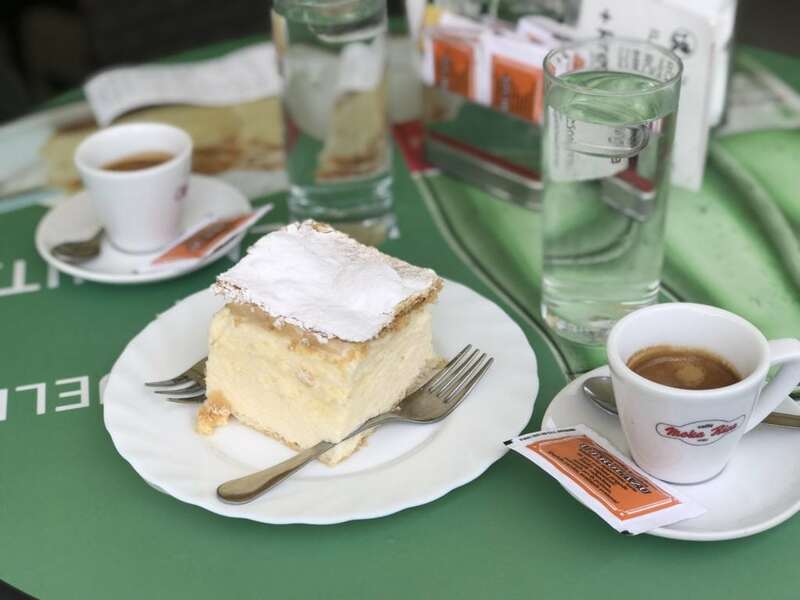 Finally, you can’t come to Samobor without trying the famous cream cake. One of the most popular places to enjoy one is the U Prolazu cafe in the main square. We got one to split along with two espressos and it was the perfect end to our quick and easy day trip to Samobor. All in all, our day trip to Samobor from Zagreb ran us 320 kuna / 50 usd for two people. However, you can definitely cut costs by choosing a cheaper lunch option as that was our biggest expense by far. Or, you can even pack a lunch and eat it on your hike in the castle or up at the view point. 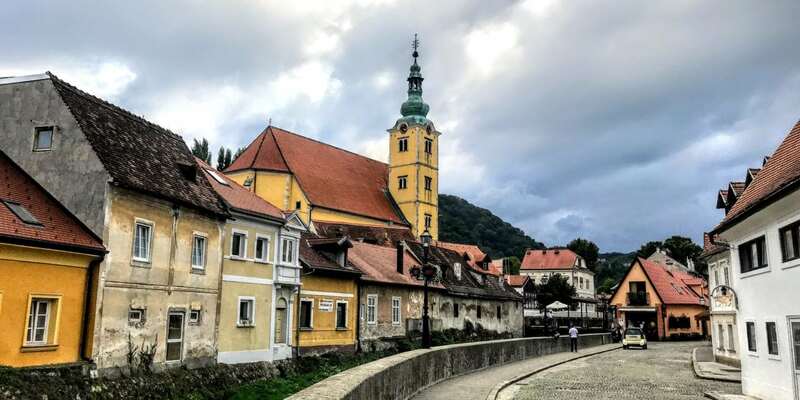 I hope this guide on how to visit Samobor from Zagreb and what to see, eat, and do there makes your trip planning just a bit easier! Plan more escapes from the city with these guides to a day trip to the Plitvice Lakes or a weekend on the coast in Zadar!